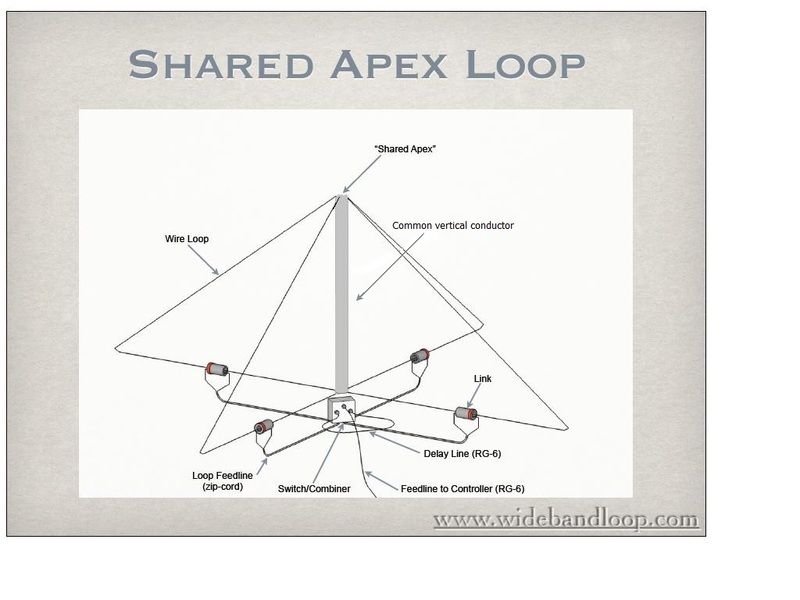 Shared Apex Loop Receive Antenna System. 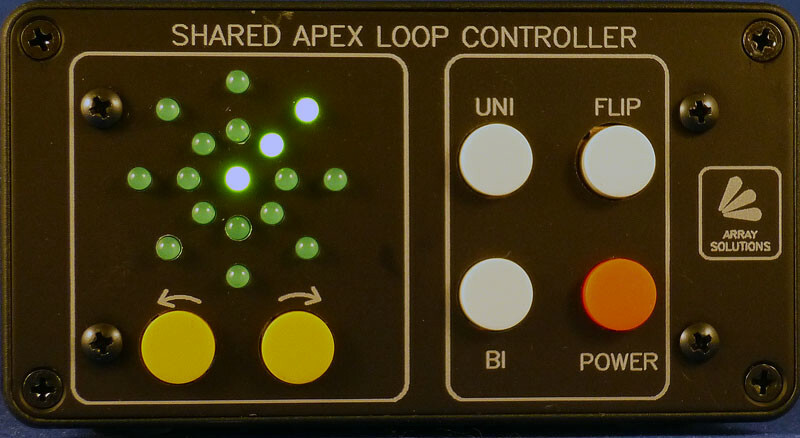 Eight instantaneous switching directions. 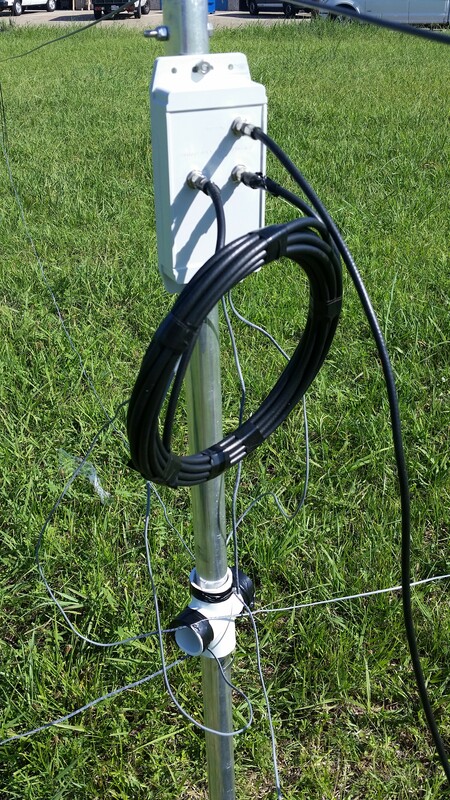 Anchoring Stakes, ropes, tensioners, mast, mast base, cable loops, combiner, controller and 15 V DC power supply, 22 ft high. 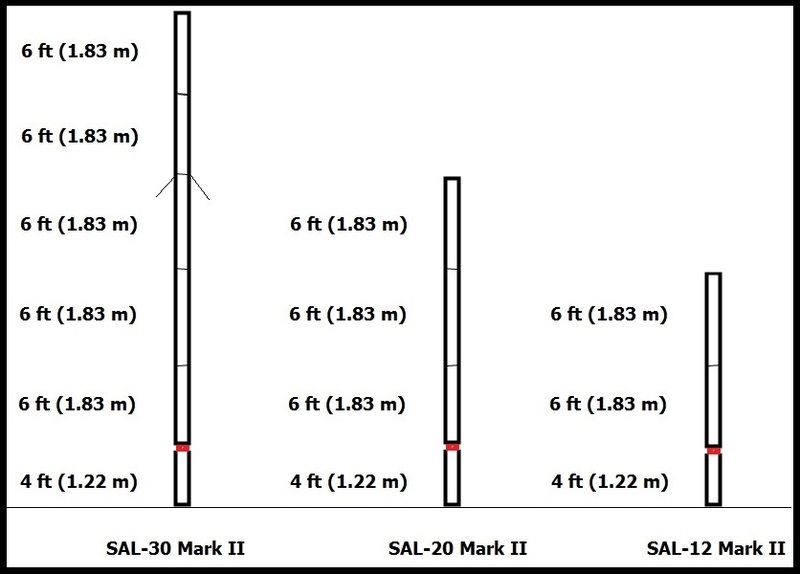 26 ft radius (25 ft square if posts are used to anchor loops' outer corners). 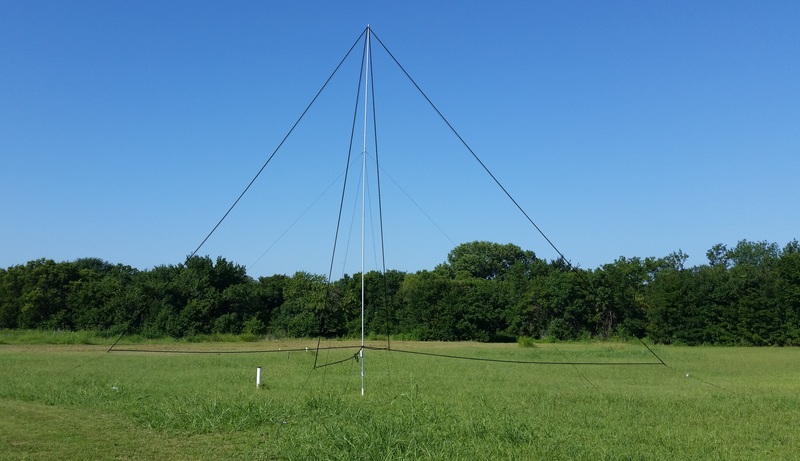 NOW VERSION 2 WITH ALUMINUM MAST. 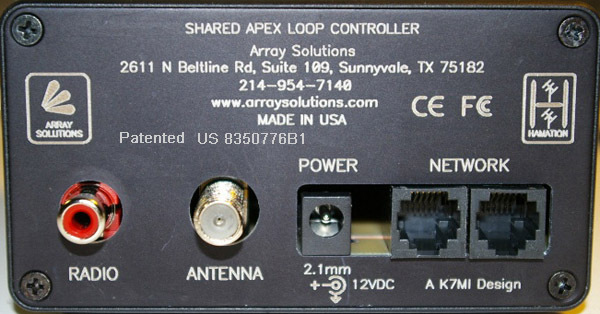 If you want to save on shipping costs and please check our AS-SAL-20 Mark II DX , the overseas version, no mast, no power supply, click here. 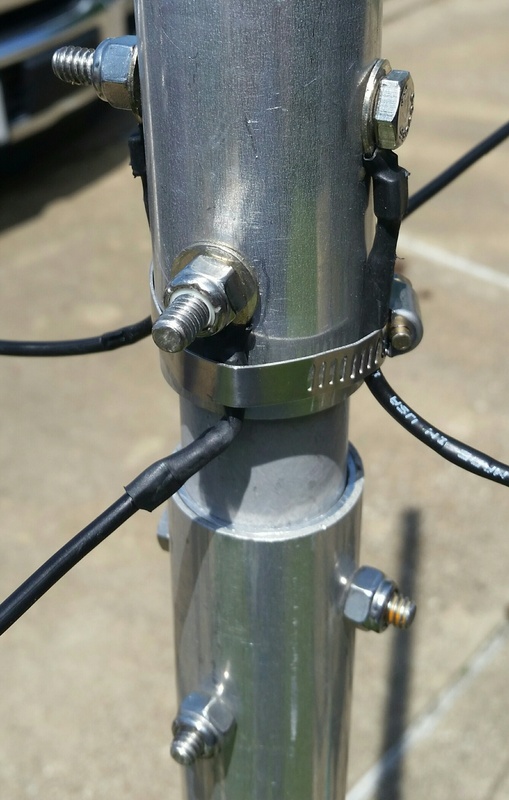 There is a link on guidelines for building your own mast.